Generator Rentals | A&T's House of Bounce Inc.
We know that you have enough to worry about when you are planning a party or event! When you book with us, there is no need to worry about whether or not you will have enough power for all of your party rentals! We have units ranging from 4,000 watts up to 21,000 watts! 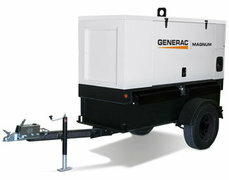 We are the portable generator authority with many sizes to choose from. Our generators are kept in great condition and serviced after each rental! Rent a Generator to Power Your Event! We can meet the power needs of events large or small! Rest assured that our full line of generators are all heavy duty commercial grade units! We know that you need reliable power supply for your event and that is why we only rent the best commercial and Industrial Grade generators at the most affordable prices! Reserving your Portable Generator is Easy! 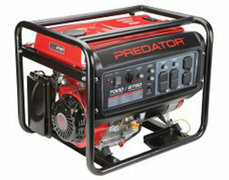 Ordering your portable generator is easy at HouseofBounceNY.com using our new online reservations system. Just click the order by date link and enter the date and times of your event. Then, as you browse through the website, you will be presented with only those items available on your date. Not ready to comit, no a problem. Simply explore the categories and as you see items that are perfect for your party, just click the "Add to Cart" button from the product page. The website will automatically adjust the price based on the times you enter into the calendar. Rental Rates are based on an 8 hour rental for all inflatables and party rentals. You can extend your party rental time up to 12 hours for an additional $25. 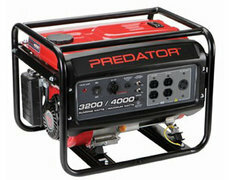 If you would like to keep your generator rental overnight, the system will add the $50 overnight fee to the base price. Multiple days will be discounted down to 50% of the base price. We Deliver our Portable Power Generators throughout the Hudson Valley! Our Portable Power equipment and Generator rentals all come with free local delivery and Installation. Our Free local delivery zone is highlighted in the google maps page found below. There is a small delivery charge for Inflatable Games delivered more than 15 miles from our warehouse in newburgh, ny. For a full list of cities we service, please check out our Delivery Area page. If you do not see your city listed, please feel free to reach out to us through chat or you can call us at 845-787-0515. You can also email us at www.HouseofBounceNY.com.